How do I view an Incomplete Learners report for my account? You can view a report of incomplete learners in your account and the total time a learner has spent in a course. In the Insights page, click the Deep Dive button located next to the Completed Learners statistic widget. Click the Report drop-down menu. Then, click Incomplete Learners Report. To choose a time frame for your report, click the Last Week drop-down menu. In addition to viewing data from the last week, you can view data collected in the last month, last 3 months, all time since the account was created, and a custom date range. 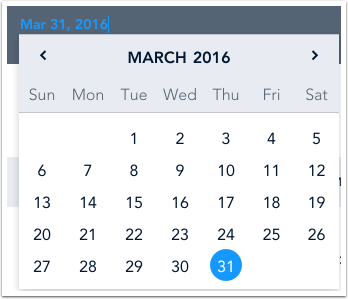 When the Custom option is chosen from the drop-down menu, a pop-up calendar will be shown which allows you to select a start date and an end date for your report. To refine what is displayed in your report, click the Fine Tune link . 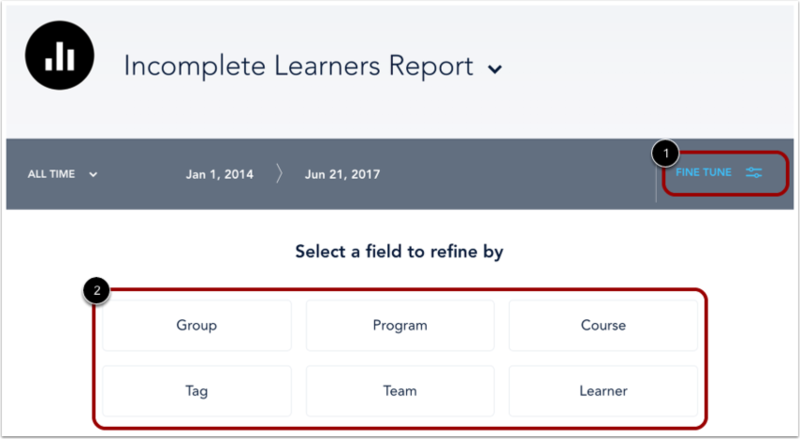 You can refine your report by group, program, course, tag, team, or learner. To select a refinement field, click a field button . To select refinement options, click the option that corresponds with the item you want to include . To see more options, click the Show Next button . When you are finished, click the Done link . To add an additional refinement, click the Add another refinement link . To apply your refinements, click the Apply button . 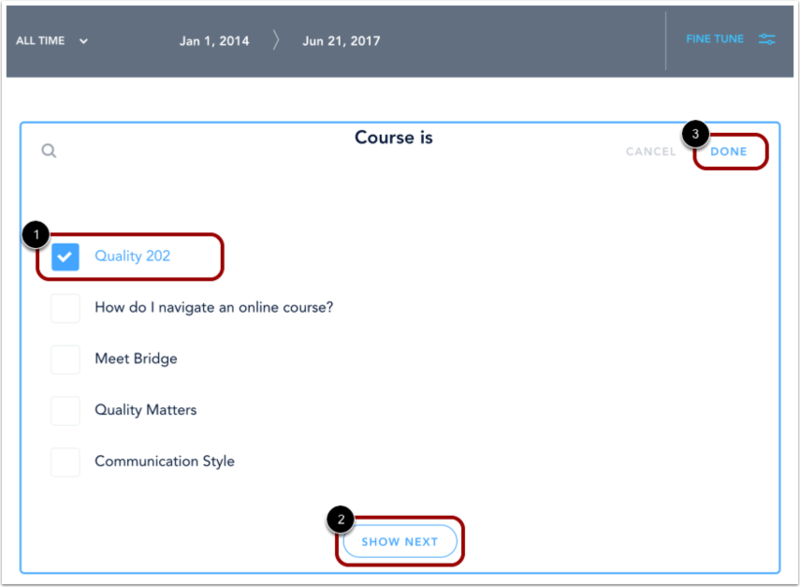 You can view the learner's name , course , due date , status , time in course , and enrollment date . The learner's name and course are linked to the learner’s profile and completed course. Archived courses appear in the list but are not hyperlinked. Time in course does not include time spent in an uploaded (SCORM) course and is not recorded until the learner takes an action (e.g. goes to the next slide, goes to the previous slide, or leaves the course). Not Started: The learner has not begun the course. Unfinished: The learner has started the course but has not finished the course. Failed: The learner has completed the course but has not achieved a passing score. By default, learners are sorted by enrollment date. However, you can click any column header, except for Time in Course, to sort your learners. An arrow next to the header will show your selected sorting column. You can sort in ascending or descending order. To download the Incomplete Learners Report for the chosen time frame, click the Export CSV button. Note: In the CSV file, the due date is formatted as Day-Month-Year. Time spent in course is recorded in seconds. Previous Topic:How do I view a Sign-In report for my account? Next Topic:How do I view a Completed Learners report for my account? Table of Contents > Manage Reports > How do I view an Incomplete Learners report for my account? How do I view a Sign-In report for my account?